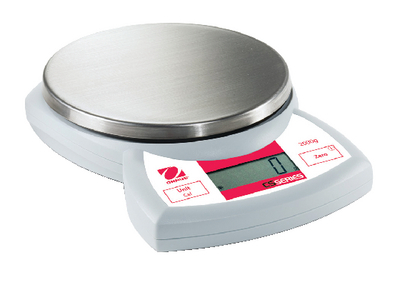 Compact electronic balances are a great choice when cost matters but dependability is a must. These value priced models feature convenient portability, durability, and dependability. The streamlined design includes a stainless steel pan and bright LCD screen. Each scale includes full capacity tare, enhanced readability, and selected grams or pounds and ounces display. Accessories information: Units operate on three AA batteries or an AC adapter, both included. Ordering information: One-year manufacturer's warranty included with purchase. Units operate on three AA batteries or an AC adapter (both included).